There comes a time in any hobbyist or lifestyle enthusiast’s life when he or she reaches a crossroads. The decision has to be made whether or not his or her existing level of engagement – as in how much money they’re willing to throw at it – is good enough to keep them happy. If the answer is “no” then that person will continue to enjoy their pursuit much the same as always. But, if the answer is “yes” then that usually means it’s time for an equipment upgrade. If you’re an occasional griller, then a Kamado Joe is probably a significant upgrade versus what you’re using now. It’s certainly going to be a departure from your usual backyard cookouts. By the end of this article, you will know if you’re a “yes” or a “no” person, though we think you’re in the “yes” camp if you find yourself here reading this. What is the Kamado Joe Classic II? Why Do People Choose the Kamado Joe Classic II? Should You Buy the Kamado Joe Classic II? Kamado grills are very different in appearance and functionality from a standard grill. The basic form of the Kamado has been around for thousands of years but only came to the Western world in the mid-20th century. Even then it was a few decades before they really started to take off in popularity. Today, Kamados are somewhere between mainstream and cultish, and you’d be forgiven for having never seen one in person. The Classic II is one of several ceramic kamados produced by Kamado Joe, and it’s the one with the broadest appeal. It’s a reasonably sized smoker and grill that will fit in most backyard spaces. Unlike some 2-in-1 units, a kamado can achieve temperatures high enough to sear, but can also hold a low enough temperature for true low ‘n’ slow grilling. One company, Big Green Egg, largely dominated the kamado industry for many years. Kamado Joe offered the first serious threat to BGE’s dominance. In recent years, Kamado Joe has been at the forefront of innovation and invention when it comes to kamado grilling. They have an ever-expanding product line, with a few new gems in the works and due for imminent release. Customer support is second to none, the owner of the company himself, Bobby Brennan, is active on social media and very customer facing. They are a well-respected company, who stand by their products and have a vast community of fans surrounding them. Let’s take a very close look at the Kamado Joe Classic, the medium sized grill in a family of three comprising of the Junior, Classic and Big Joe. The ‘Classic’ is by far the most popular of the three sizes available, and while the much smaller junior has noticeable differences, almost everything said below can be applied to the larger Big Joe version, with the exception of dimensions and cooking capacity. And for the record, of all the Kamados we’ve looked at, the KJ Classic is our absolute favorite and took top spot in our roundup of the best kamado grills for 2018. It’s very well packaged, and everything you need to get grilling except the fuel. The first impression you’ll get is this is a very well packed box, which is a good thing since ceramic is somewhat fragile. Assembly is pretty straightforward, and you’ll be up and running in no time. The Kamado Joe Classic II is an attractive grill; the glossy red exterior is a real eye-catcher! It’s also pretty darn hefty so make sure you have an able-bodied assistant to help you put it together. Build-quality is excellent; all connecting parts are solidly attached, everything fits snugly, and the lid latches closed and stays tightly sealed. The whole unit feels very well thought out and user-friendly. The two side tables are such a blessing when you’ve got a bunch of tools, sauces, and seasonings all vying for space. The thermometer is front and center, and the top vent and bottom ash drawer are all easy to get at. 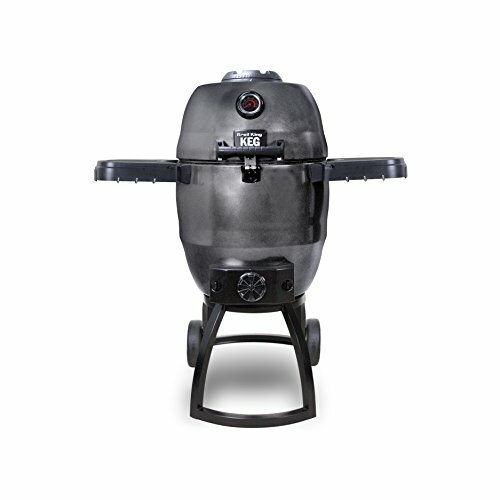 KJ has established itself as a leader in the kamado and grilling industry. There is a lot of respect for the company and its products; very few Kamado Joe owners give up their grills out of disappointment. They also have a reputation for high-quality, well-built kamados, that produce amazing results, and there’s a vibrant community of owners out there. 18” diameter cooking area / 256 sq. in. 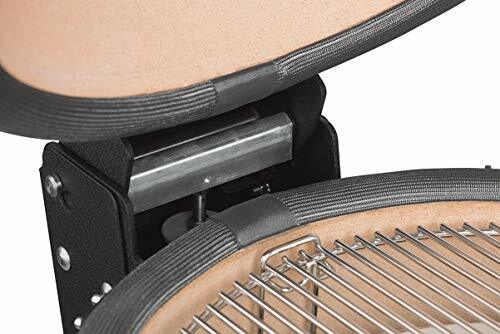 The top vent on a kamado performs the critical function of controlling airflow (in conjunction with the bottom vent) and allowing smoke to escape the chamber. Controlling the airflow helps regulate the temperature inside, which is especially important when you’re cooking low ‘n’ slow. Indicator markers help you set your opening with precision, and find that same spot the next time so you can quickly dial into required temps. The vent is also well designed to keep rain and snow out of the interior and making a royal mess of your grill. Having an 18” diameter grill should be limiting, but the clever engineers at Kamado Joe have found ways to max out on versatility. With their novel grill system, you can set up grills at staggered heights and use heat deflectors to create distinct temperature zones, and areas for direct and indirect grilling simultaneously. This is something you might think only possible with a standard-shaped barbeque. Cleaning out ash is a dirty job, but every charcoal or wood-fired grill owner has to deal with it at some point. To help ease the burden, the Classic II has an ash collection area at the bottom of the unit. All you have to do is slide out the drawer and carefully dispose of the contents. Of course, not all the ash will cooperate, so they do include a handy ash clean-out tool for those hard-to-reach places. If you read the specs, you know the Classic II weighs 188 lbs. As you might imagine, the lid is a substantial part of this, is very heavy and could be quite a chore to open and close. Fortunately, the Air Lift hinge takes almost all the effort out of operating the lid. Not only can you lift it with ease using only a finger or two, but it will also stay open at any position you choose. No more worries about cracked lids! Yeah, I am personally obsessed with side tables. I love having work/storage space, but without devoting a ton of room to a large table, cart, stand, or storage unit. There’s just the right amount of room for a plate to receive cooked food, or for rubs, seasonings, and sauces to wait their turn. It’s nice to be able to set down my frosty beverage, too. Speaking of lids, a tight fit is essential to good low ‘n’ slow cooking. You don’t want to lose smoke and heat because you forgot to check if the lid was shut, especially since the lid won’t self-close. With the rust-resistant latch, there’s no guessing whether or not the lid is down. Now that we’ve gone over the numbers and features let’s take a look at some of the other factors worth considering when you’re buying any kind of grill or smoker, and how the Kamado Joe measures up. Being versatile is not the same as being easy. There’s a lot you can do with a Kamado, but if you’re used to more conventional grilling, there is going to be a learning period while you master all the nuances of the equipment. By the way, this is a kamado thing, not a specifically Kamado Joe thing. If you’re already used to grilling with charcoal, you’re going to have an easier time adapting than someone switching over from gas, of course. Still, there may be some frustration at first as you learn to control the temperature for long roasts and smokes. Once you’ve got the hang of it, though, you’ll love it. Cleaning your Kamado Joe is pretty straightforward. We’ve already gone over the ash drawer and ash-cleaning tool. If you keep the cooker covered between uses, there won’t be much else to do. Like most indoor ovens, a kamado can self-clean. The manufacturer suggests getting the temperature up to 600F for 15 minutes. At that point, close off the vents and wait for the kamado to cool down completely. Then simply brush off of the grate and ceramics, and that’s all that’s necessary. Kamado Joe builds an excellent cooker, but even the best can have an off day. They have a good reputation for providing quick and useful support, and most customers come away happy after an interaction. You can phone KJ toll-free, but the best access to support seems to be through an online form. You can even attach a picture of your issue to the form with ease. Socially, they maintain Facebook, YouTube, Instagram and Twitter accounts. They have a tab on their website for ‘Community,’ but as of the time of writing, this section was non-functional. To interact with other Kamado Joe users, your best bet is to try Facebook. There are groups for fans in many specific geographical locations (such as Australia/New Zealand, U.K., Sweden, and The Netherlands), as well as a general group open to all. This last group boasts more than 14,000 members, and there are daily posts. You can check out this group here. Allow it to come up to temp slowly with the bottom vent just a couple of inches open, and the top daisy wheel fully open. When 20 degrees or so from target temp, close down the top vent to 1/4 open and allow the temp to slowly, slowly rise. If you overshoot, coming back down is hard. For high temp searing, use fresh charcoal. For low n slow cooking, you can reuse unspent fuel from previous cooks. 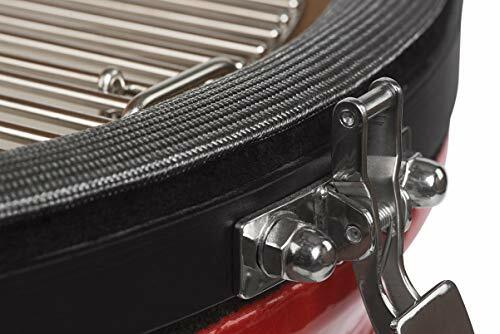 Invest in the grill expander and really load up your grill for each cook. You have to invest time into cooking, and money into quality charcoal, so get the most out of each cook to smoke multiple meals worth of food. You can always refrigerate or freeze smoked food to reheat later. Don’t be afraid to experiment – with the right gear, you can bake in a kamado, and even produce authentic pizza! 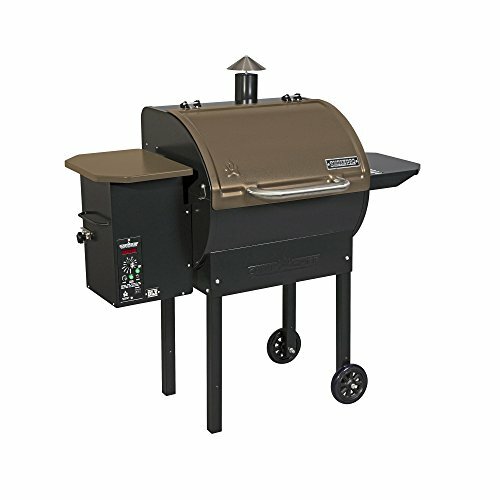 There is no question that the Classic II is a terrific grill and smoker. While you’ll never be able to ram an entire side of beef into it, it’s big enough to handle most typical smoking and grilling assignments, including large brisket. And, in terms of build quality, it’s hard to beat a Kamado Joe. If you’re excited by the idea of such versatility, you appreciate high-quality products, and maybe you’re just a little enamored of the prestige (not everyone has such a fine grill!) then this investment will reward you with many, many years of enjoyment. Although this is a great grill, there may be reasons why it isn’t the one for you. Here are a few alternate suggestions for you to consider. If your biggest issue with the Classic II is the size, you’ve got options. 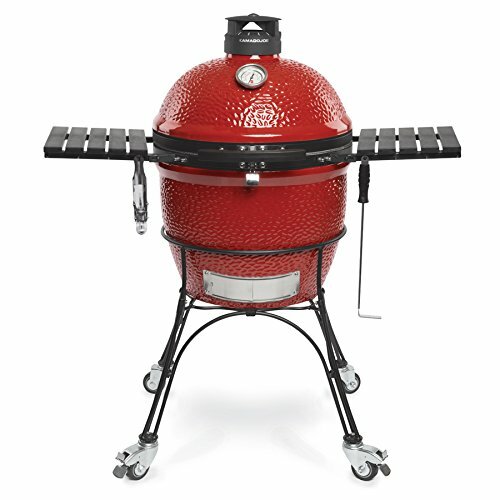 For example, if you want an even larger kamado for truly epic cookouts, the Big Joe might be the one for you. 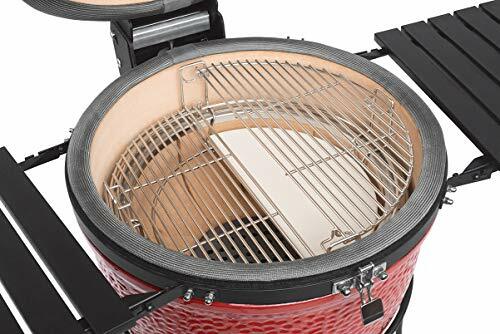 It has a 24” diameter grill, and, just like the Classic II, it is divisible and expandable. You can get a load of this beast, with specs, images and current prices on amazon right here. Now, if your problem with the Classic II is that it’s too big, and you want a compact kamado you can take with you, you could choose the Joe Jr. With a 13.5” diameter grill, and weighing “only” 68 pounds, you have the option of going mobile. You can learn more about this cute little kamado by clicking this link to the Junior Joe on amazon. If the idea of kamado cooking appeals, but the price tag of the Classic II doesn’t, there are other kamados to try. One of the most popular is the Broil King Keg 5000. While I wouldn’t call it “inexpensive,” it is certainly more economical than many other kamados. It may not have the cachet of a Kamado Joe, or a Big Green Egg, but it will provide a good grilling experience for less money. And, it looks like a keg of beer. If you want to tap the keg, check it out on amazon here. Perhaps you’re sold on the 2-in-1 concept, but you feel a bit intimidated by charcoal and don’t want to take the time to learn. (Hey maybe you just don’t have the time!) In that case, a pellet grill might scratch that itch. The SmokePro DLX automatically feeds enough wood pellets into the firebox to reach and hold the temperature you set on the electronic control. It’s user-friendly and gives great results. Just be aware that it has a lower maximum temperature than a kamado, so it cannot sear. We’ve got a full review of the SmokePro DLX you can peruse <insert internal link here>. Or You can skip right to the specs and details on amazon at this link. Every time we look at a Kamado Joe grill, we come away impressed. It really is a fun and versatile product, and anyone passionate about barbecue is going to have a great experience with one of these babies. No, they don’t pay us to say this stuff – we just love these grills! I (Mark) still have my original Classic version 1, and should be adding a version 2 sometime this year. I love them that much. If you’re feeling the love (or you’re wondering why we are) you should take a minute or two to check further details at amazon. Don’t forget to send us your questions, comments, critiques and more in the comment section below. It’s been great sharing this time with you, and we look forward to seeing you around the site!